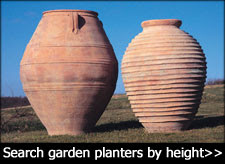 The Atlas is a cylindrical planter manufactured using 2mm thick Corten Steel and available in 7 different sizes. The natural rust finish allows a flexible approach to both commercial and residential landscape design. 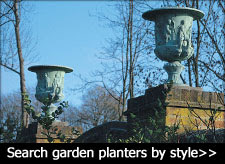 As standard all Atlas planters are equipped with 15mm high feet and two pre-drilled drainage holes in the base. Once the 'Corten Steel Atlas Planter' is exposed to the elements the weathering process will begin. 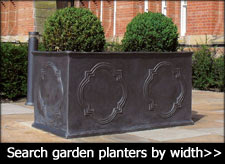 A protective layer of rust will form to giving the planter a warm and natural look, protecting it from further corrosion. Until the weathering process is complete (up to 4 months) you will experience some 'carbon run off' from the weathering steel. Lay down some protection to avoid any surface area from staining if need be. Avoid the use of hydro-grit or similar products that aid water retention. 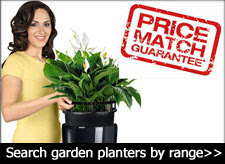 Stock and Delivery Made to order and manufactured in the Netherlands with an estimated lead time of 2-4 weeks.